San Diego Ceramic Car Coating - We all want our vehicles to look as good as they did the day we bought them. So we carefully wash them on a regular basis and we apply a new coat of wax every two to three months. But despite our efforts, swirl marks, rock chips, and contaminates start to populate on our vehicle’s painted surfaces. Not only that, water spots, dirt, and grime start clinging to the car the day after you give it a thorough wash.
Could you imagine if there were a product that could change this story-line; a coating that could provide long lasting protection from environmental elements and make your car easier to wash, while not requiring repeated wax or sealant applications? We've got good news! 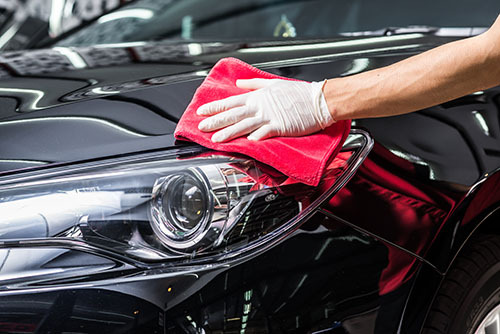 There is such a product and it’s called a Ceramic Car Coating (or Nano-Ceramic Coating), and it will add substantial value to your vehicle and make your life easy with its self cleaning properties. Never Wax Again! 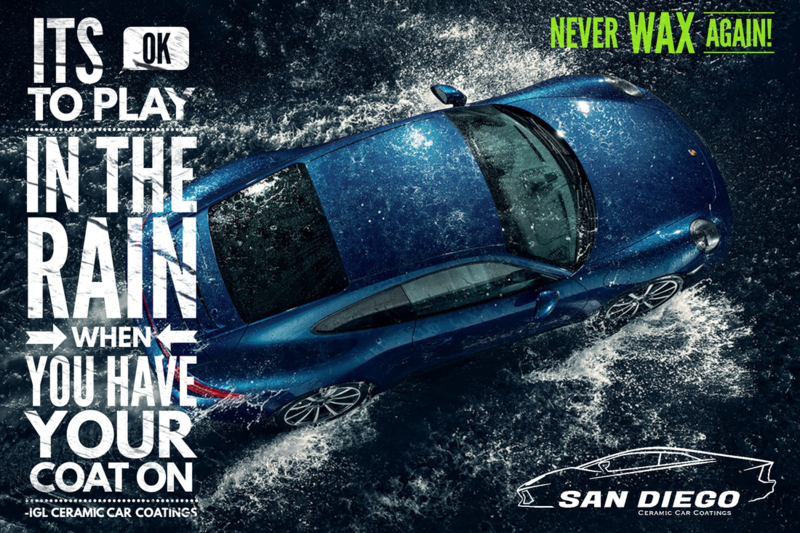 San Diego Ceramic Car Coatings are the next generation of vehicle surface protection that go beyond waxes and sealants. A Car Ceramic Coating is basically just like liquid glass (in many cases, silica) and will without question outperform and outlast any Carnuba, Montan or Synthetic wax or sealant on the market with its level of gloss gloss and protection of your vehicle's paint, and they are much more scratch, UV, and most notably water resistant. 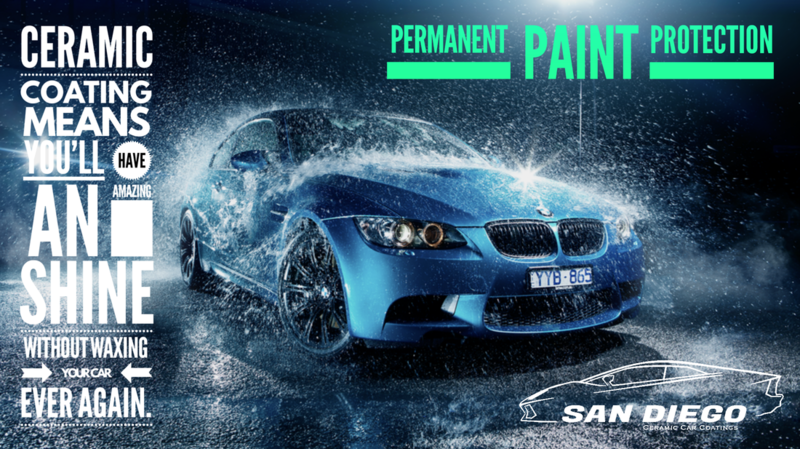 A San Diego Ceramic Paint Protection for cars creates a permanent or semi-permanent bond with a vehicle’s paint, meaning that it will not wash away or break down and most importantly does not require repeated application every few months like traditional car waxes. We off the best ceramic coating for car in San Diego. 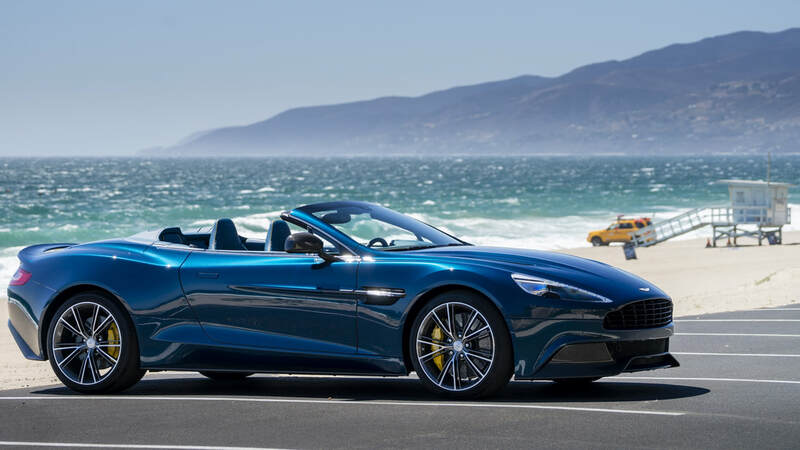 PROTECTION FROM UV DAMAGE & OXIDIZATION - Ceramic Coating protects a vehicle’s paint from the sun’s ultraviolet rays, thereby reducing any risk of surface oxidization. 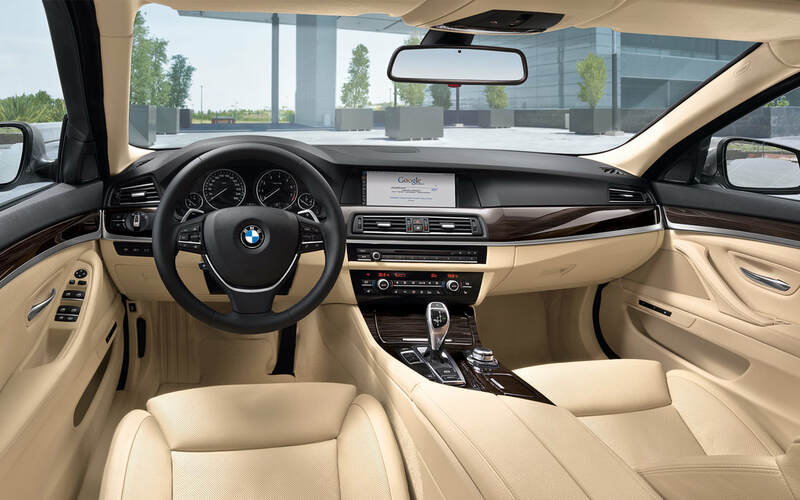 PROTECTION FROM CHEMICAL STAINS AND ETCHING - By creating a chemically resistant surface, a Ceramic Coating will keep most contaminants from bonding to your vehicle’s painted surfaces. 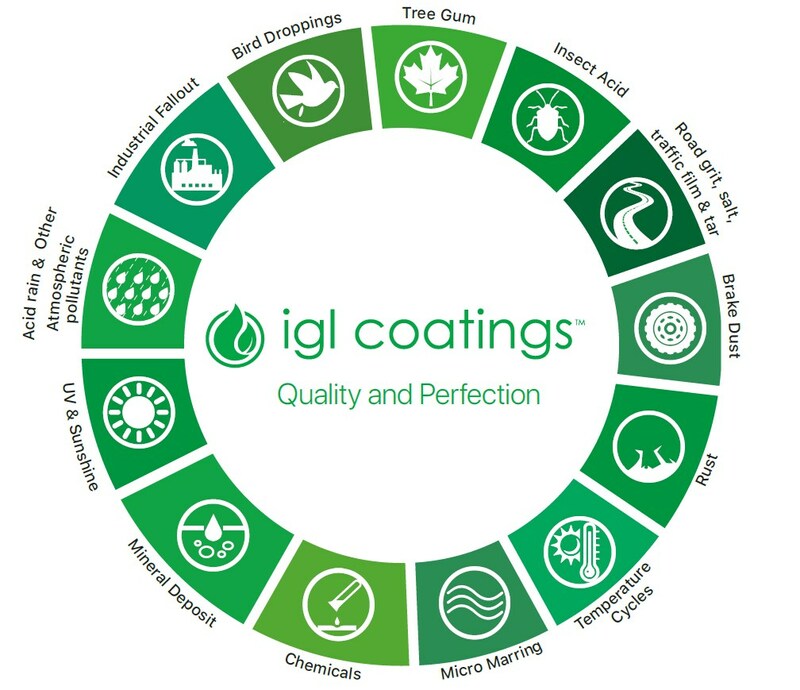 EASE OF CLEANING - IGL Ceramic Coating car will dramatically lower the surface tension and prevent environmental contaminants such as: bird droppings, bugs, tree sap, dirt, tar and graffiti paint from bonding to the surface. Water easily removes dirt from the surface by grabbing and trapping it while rolling off the surface. This is called the self-cleaning effect. 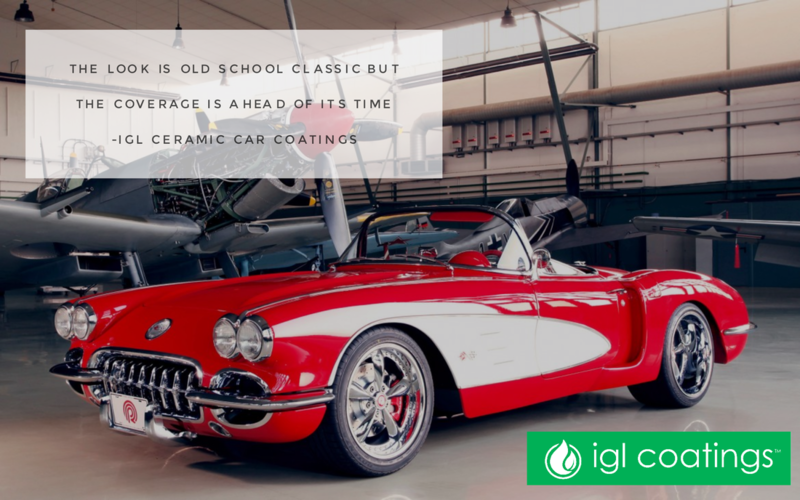 ENHANCED GLOSS - All of our IGL Ceramic Coatings were designed to enhance the reflective properties of your car’s paint and clear coat, adding to the depth and clarity of your paint. ADDED VALUE TO YOUR VEHICLE - Our coatings will protect your vehicle’s exterior and interior from deteriorating for many years. The resale market value will therefore be substantially higher! 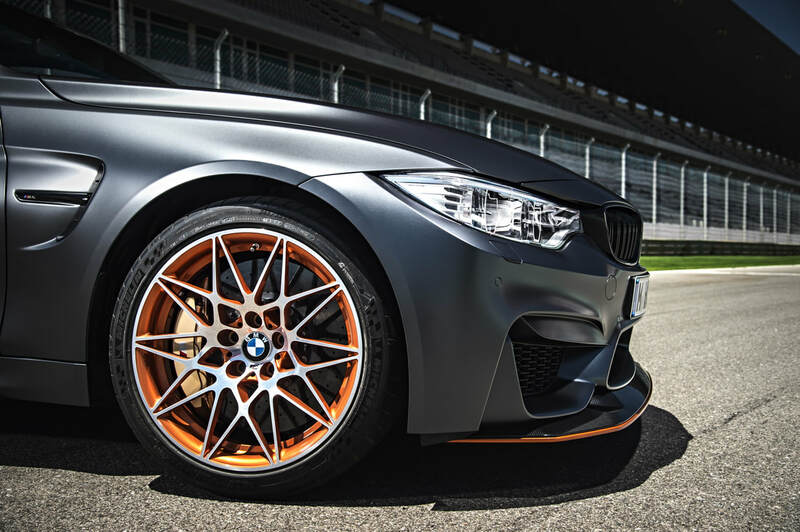 Our Ceramic Coating options will pay for itself in the end. 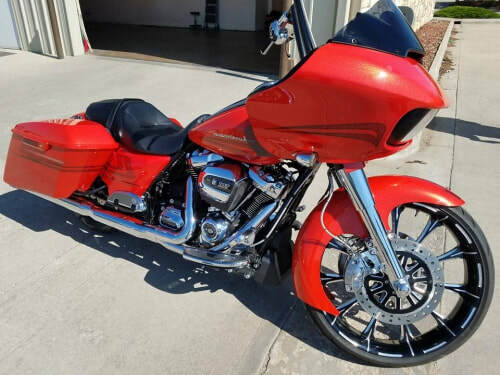 IGL COATINGS ARE NOT JUST FOR VEHICLE PAINT. WE HAVE PROVEN SOLUTIONS TO PROTECT INTERIORS. The leader in industrial coatings now provides solutions for automotive protection as well. Back in 2001, the founder was dissatisfied with the hydrophobic products that were available in the detailing market. Instead of looking out, he looked within his lab. He zoned in on formulations that had the functions he needed and with the help of BASF, Bayer, Dupont, Shin-etsu and Wacker Chemie, the basic formulations were reinvented into today’s Ecocoat series. The solution for your leased vehicle!